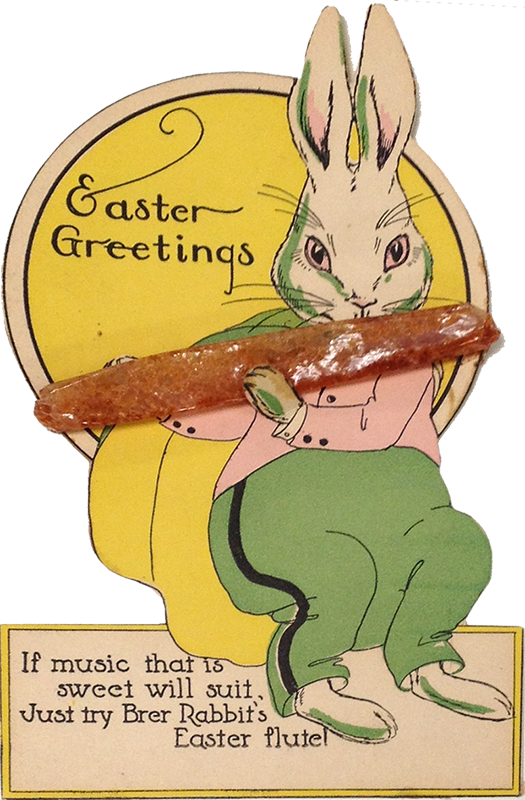 The San Lorenzo Valley Museum Blog: Easter, or Ēostre. 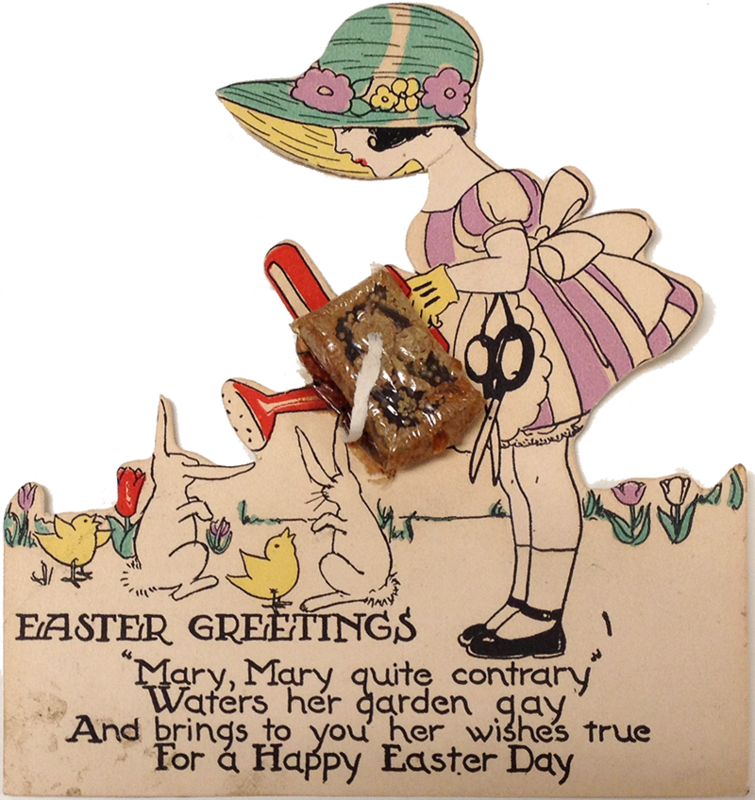 Easter, or Ēostre in Saxon English, was formerly a pagan celebration held during the month of Ēastermōnaþ or April, to celebrate the coming of spring. Its namesake is the Germanic goddess Ēostre or Ostara. 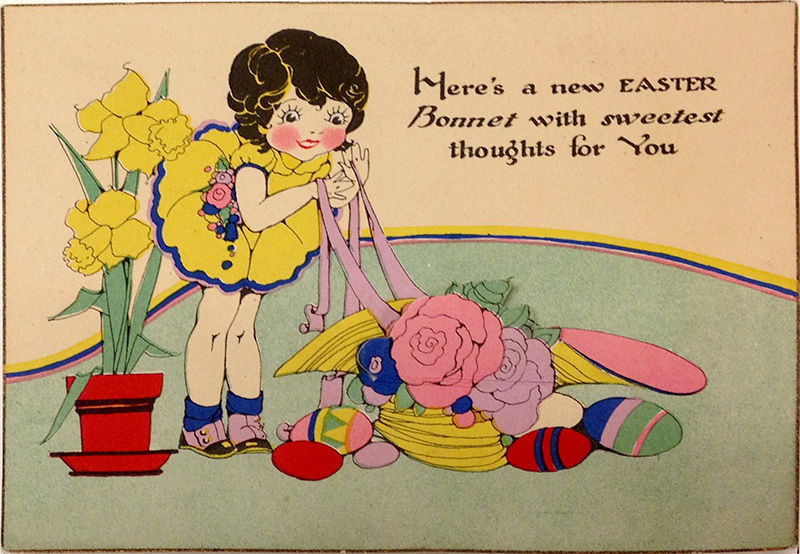 Pictured here are four Easter cards from the Museum collection. 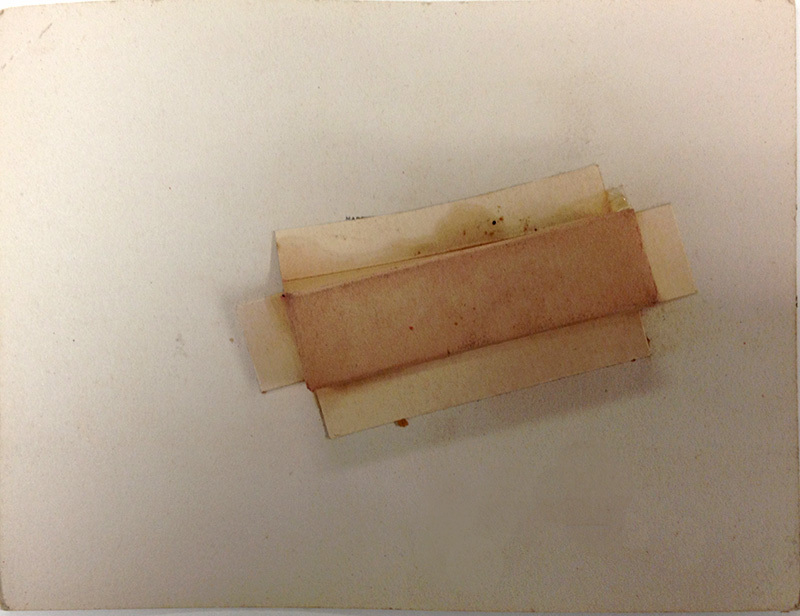 Each card delivered a piece of candy to the recipient either attached to the front of the card as on the top two cards, or hidden in a pocket behind a decorative flap. On the cards to the left, the candy was hidden in the Easter bonnet and the Easter basket. 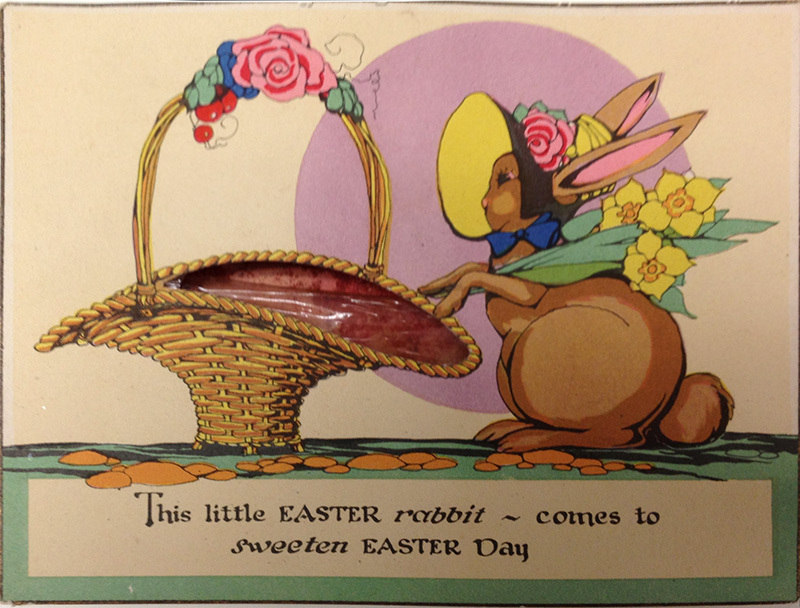 The back of the card on the left, is pictured below, showing the enclosure for the candy. Scenes from a lost movie.